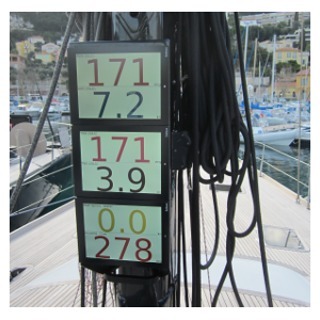 Sailmon are proud to announce they have chosen Annapolis Sailboat Show 2014 to launch their innovative high-performance instrument system for racing boats, premium cruising yachts and SuperYachts. The standout features of Sailmon System are the optical capabilities of the 2 different sized (7" and 10") high bright displays and the interface with other on board systems. Viewable from all angles and optimized for polarized glasses, they are waterproof, rugged and completely configurable to the user's requirements. The system can work with most other installed instrument systems or as a stand-alone system. All data is transmitted using Powerline technology which means there are no ethernet cables to run; high-speed data is transmitted on the power cable. 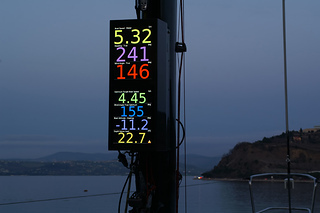 Each instrument provides a WAP and incorporates a high-performance race computer with grand-prix level software. Already well-established in Europe, Sailmon has partnered with their distributor Eurotask to expand their fast growing market into the US. “Following 3 years' experience working and selling Sailmon products in the European market, the 2014 Annapolis Show will be the perfect launch pad for introducing Sailmon to the US market," commented Mark Luffingham, the CEO of marine electronics distributor Eurotask Ltd in the UK. 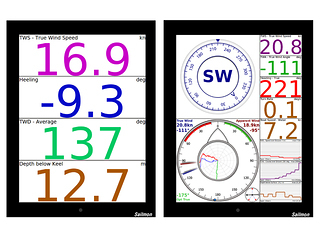 “The innovative Sailmon display system is ideal platform for collecting and viewing vital navigation and sailboat performance data. Sailmon is the serious racer's edge." Remote access to all aspects of the Sailmon System is achieved via ethernet connection to the internet and this enables Sailmon to provide support anywhere in the world on a 24/7 basis, even if it is just to help customers with specific functionality. Calibration of all sensors, entering Polar information, configuring each display and setting pre-sets can all be done via the touch screen of the 7" RI70 display, an iPad, iPod or PC. An iPad or iPod can be used to control the instrument system if the system does not incorporate an RI70.